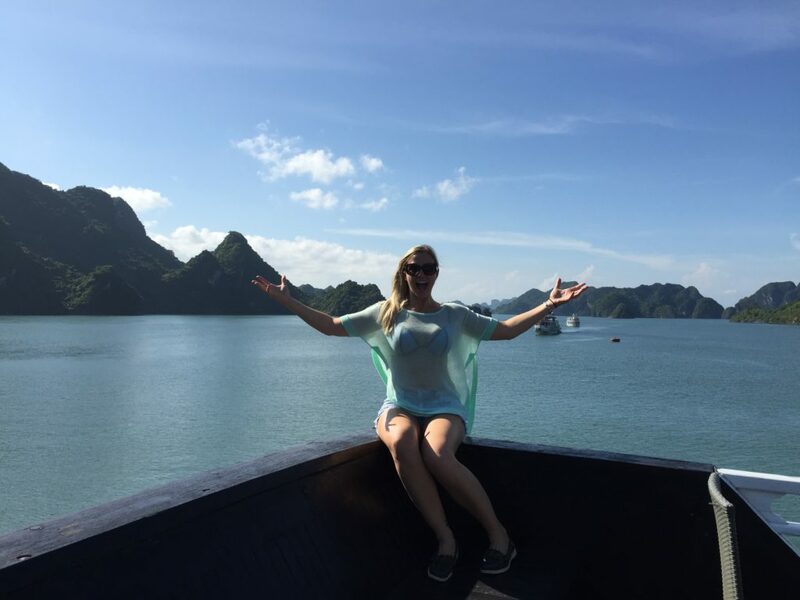 Halong Bay was a HUGE bucket list item for me, and it didn’t cease to disappoint! It really is a beautiful, peaceful and serene place and 100% should be on your list if you’re coming to Southeast Asia! 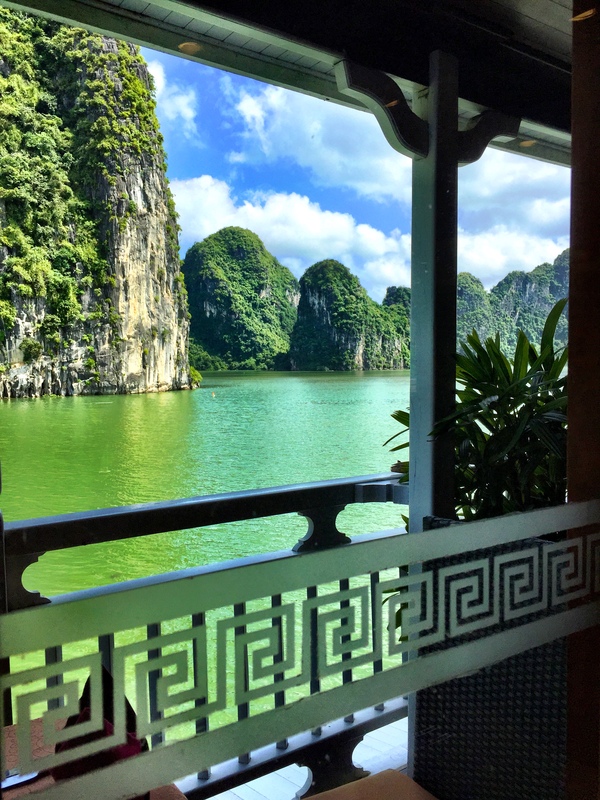 A UNESCO World Heritage Sight and one of the 7 natural wonders of the world, Halong Bay is made of nearly 2,000 limestone islands and cover a vast area of nearly 600 square miles. I never realized how vastly large it really was until we went! From Hanoi, the journey to Halong Bay is a 4 hour bus ride, which can be arranged with your boat cruise company or accommodation, who will pick you up. The drive there is really an experience in itself, as the rounds are bumpy and traffic is crazy! Get your camera ready! Sadly, the Visa for Americans to enter Vietnam has gone up almost 50% in the last two years, as they are only permitting one-year visas to US citizens (as of my writing this-please check for updated info). There are a million websites you can find online that will help you ‘process your visa,’ but I really didn’t trust them. It’s best to let your accommodation handle it for you, so you can ensure its legitimacy. There are two fees associated with the Visa On Arrival process. The Stamping Fee Prior To Arrival of $135USDpp and then the Vietnam Arrival Processing Fee of $25USDpp. Be SURE to have USD cash when you arrive in Vietnam to pay the fee, as they only except cash. 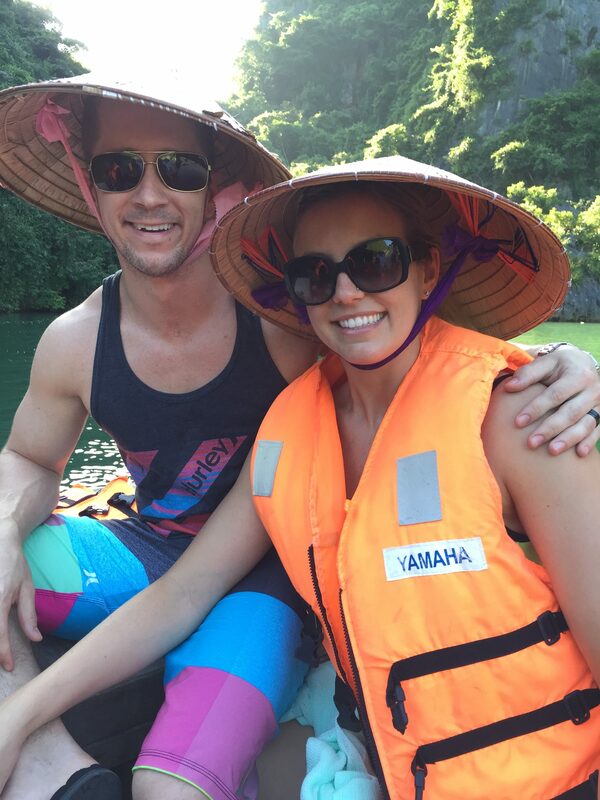 If you’re going to Halong Bay, the boat cruise that you booked with will be happy to process the stamping fee for you. After arriving at the airport in Vietnam, take the required paperwork with you to the Visa On Arrival counter (plan to wait an hour+) and pay the processing fee. Alternatively, if you have ample time before leaving for your trip, you can mail/drop your passports at a nearby Vietnam Embassy in your city. 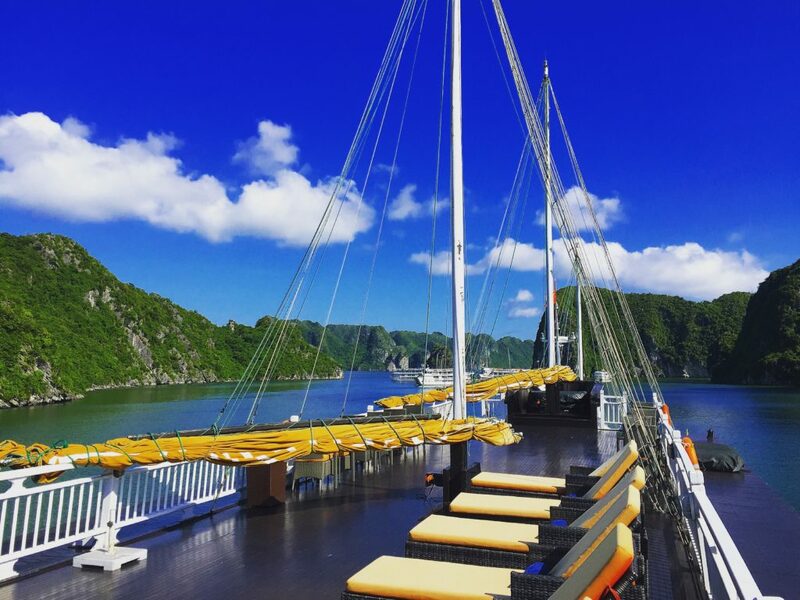 There’s NO better way to see Halong Bay than with a boat cruise. There are MANY different options, but I’ll highlight the top three options, based on your preference. 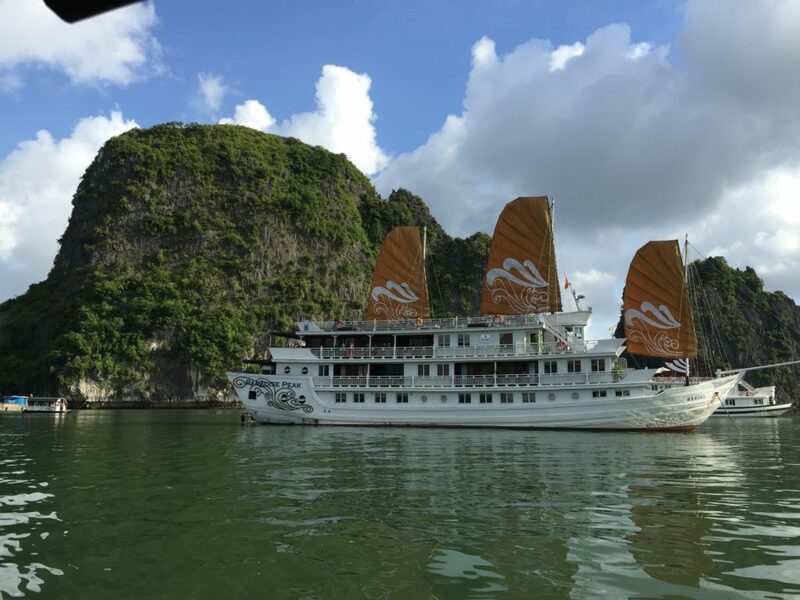 Oasis Bay Party Cruise is a great booze cruise option for those that want to see the beauty of halong bay, kayak, swim, boat jump and then party at night. The cost includes pickup from your hotel, all meals on board, cooking demonstration and the entrance/sightseeing fees. It does NOT including alcohol. For a 2 day, 1 night cruise the cost is $109USD/pp. We had several friends take this cruise and highly recommend it. If you’re really pressed for time to see Halong Bay, then Halong Bay One Days your best option. The total trip time is 12 hours, 8 of which is spent in route to/from Hanoi. The cost is $35USD/pp. The fee includes pickup at hotel and meals. 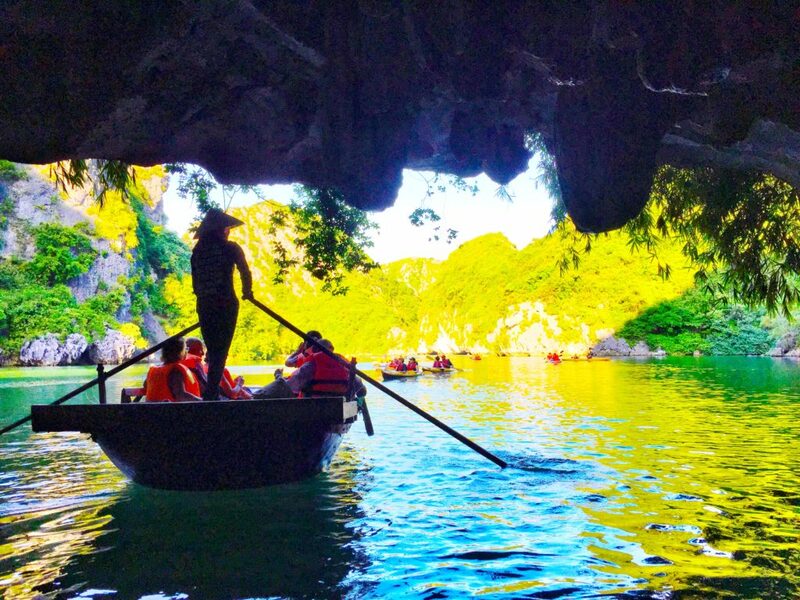 You’ll cruise on a traditional junk boat for four hours, including a kayak ride and a visit to Thien Cung Cave. 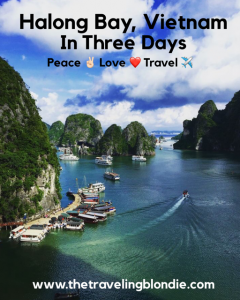 You may be rushed, but if you only have one day to see Halong Bay, this is your best option. Get duty free when entering Vietnam and carry alcohol on the boat too save money on drinks. The longer cruise you take the better! We stayed two nights and totally wish we would’ve booked a third! Thank you SOOOO much for stopping by! Questions? Like What Your Reading? Want More? Check out my latest book, Now Available on Amazon! Hi! I’m Nichole, AKA The Traveling Blondie! I spent the past four years exploring Asia & Europe and now I’m living it up in Miami with Central & South America as my next destinations. Thank you SO much for for stopping by my page and Happy Travels! Follow Along On My Travels!